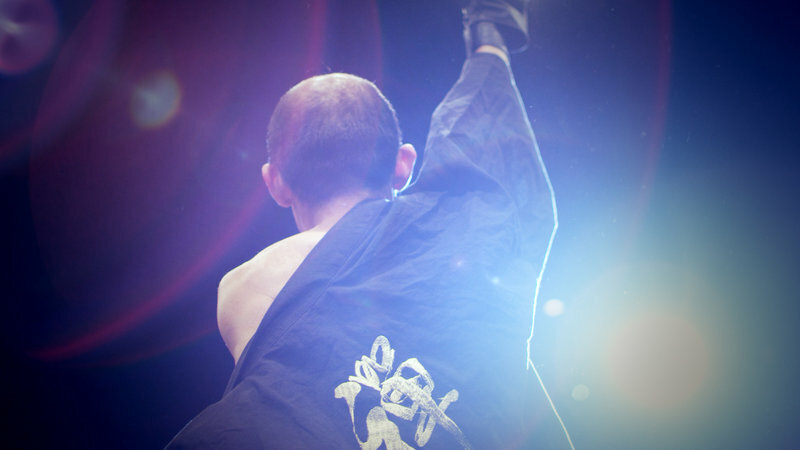 The idea of a film about a disabled Japanese wrestling league may provoke reactions within the audience, but Doglegs is a sensitive and intriguing peek into a world hitherto unwitnessed. And given the tragic events in Japan earlier this week when a care worker stabbed at least 19 disabled people in a centre west of Tokyo, this film’s taken on another level. Director Heath Cozens follows a few founding members of the Doglegs wrestling group, set up by a collection of self-described misfits. Becoming a lifeline for the marginalised, the group would settle scores between each other in the ring (and in one clash, two rivals clash over a woman) and gradually became a close knit community. It’s into this world that Cozens ventures, following the likes of “Sambo” Shintaro who has cerebral palsy and who wants to retire. But not without one final fight against a long term rival – the able bodied Kitajima. And in a twist that shakes Shintaro, Kitajima says he will fight but only the winner will be allowed to retire. Elsewhere, there’s another fighter whose path of self-destruction is tragic and disturbing. And into that mix, is footage over years thrown in of the wrestlers taking on each other and empowering themselves but potentially likely to unsettle viewers. What Cozens has managed to do with Doglegs is concoct a doco that forces you to make your own decisions and judgement as the story transpires and may see you shrinking away uncertain on how you feel. But Cozens has equally managed to handle the situation with sincere aplomb; there’s no judgement here and there’s clearly been a desire to let the camera capture it warts and all. So what emerges is an intriguing look at pride, pathos and shame within the Japanese culture. Shintaro becomes the clear focus of the majority of the story – and it’s hard to see how he can ever win against an able bodied opponent determined to humiliate him in the ring. In many ways, it’s a traditional underdog story with non-traditional contenders. However, by focussing on life outside of the ring (Shintaro’s quest for love, his relationship with his mother and with others in the Doglegs group), what comes from it all is a film that is a conflict; it has a bizarre joie de vivre and will leave a divisive feeling in viewers. Are the audience of the fights laughing at the contenders or are they enjoying the sport? Cozens makes no judgement on them, and perhaps it may have been interesting to get their point of view into proceedings, but he does nothing to humiliate his subjects or glorify them either. It’s a smart move to make Doglegs so non-exploitative and challenge perceptions, but it is perhaps one of the more unsettling films at the festival this year – but as an insight into a different world and ruminations on people’s place in the world, it’s a fascinatingly assured movie that earns your respect with its honesty and sincerity.